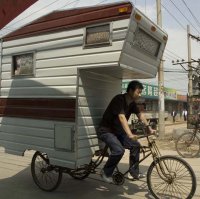 Believe it or Not!, Cool!, Housing Comments Off on Small housing… now portable? 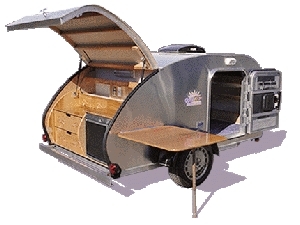 My friends and family will tell you that I’ve recently become a bit obssessed with Teardrop trailers – an offshoot of our family’s fabulous cross-country summer adventure. I made a dozen or so trips to China, and can recall many amazing sites and feats that people were able to do on their bikes – from carryring a loady of 2x4s (on his shoulders) to more than one person on a bike – but nothing like the photo above. What do you suppose he does in that trailer? live? rent it out? store his mother in law? Next: Bad news, good news, have you heard the joke about the economist?